The good news is that homeschoolers definitely can and do approach education otherwise. In fact, homeschoolers regularly indulge their kids’ entrepreneurial ideas, use all kinds of hands-on and project-based learning, and frequently prepare their kids for non-college vocations as well as for university. Homeschoolers in most states can also choose to avoid altogether or completely de-emphasize standardized testing. This accounts for some of the success of homeschooling. 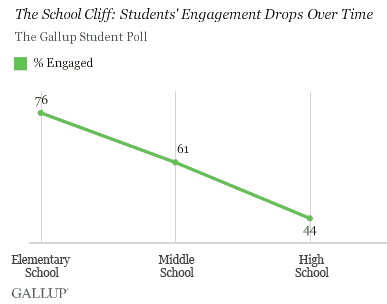 Kids remain much more engaged, avoiding some of the risk of disaffection and disconnection as they become middle school and high school ages. For example, parents who consciously use an Engaged Homeschooling approach do indulge their kids’ lemonade stands, dog walking services, photography and deejay services, lawn care businesses, and Etsy sales. These parents realize that their kids’ engagement in these entrepreneurial activities will bring opportunities for reading, writing, research, arithmetic, creativity, problem solving, and social development. Engaged homeschooling parents will also have their kids doing projects — from building tree houses to creating notebooks on dinosaurs to blogging about their bird watching and butterfly counts. These kinds of learning activities build connection and help kids construct meaning. This is especially true when they are combined with one of the ultimate tools of engaged homeschooling — autonomy.